This is another terrific novel by Glen R Stansfield. 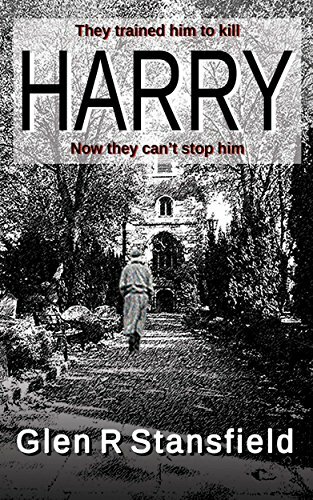 While Harry doesn’t quite follow on from Fishing for Stones, it does share some of the same characters, which is always a plus as far as I am concerned. However, it must be noted that Harry is not the same character from the previous book. In keeping with the author’s style, the characters are distinct, and tangibly real, even those operating outside of the norm. There is an arc of change and development for most of them, which makes for refreshing reading. Additionally, there prevails a sense of hope in the writing.. There are some interesting twists and reveals as one progresses, and it’s the marque of an excellent writer. The structure of the novel lends itself to the creation of a robust series, each book self-contained, and I’m rather eagerly awaiting the next instalment.. Overall, Harry is a great read without the senseless and vivid gore. I found it to be creative and original. If you enjoy a good mystery or crime story, this one fulfils both..